It snowed in DC, if you didn't know. Area residents, including those still waiting for help clearing the weekend snow, have been asked to be patient while D.C., Maryland and Virginia dig out from Round 2. D.C. officials worked to keep emergency response times down and maintain their resources during the storm. The D.C. fire department had extra equipment and staff on hand, officials said. As temperatures drop and heavy winds blow through, they are concerned about people being outside. 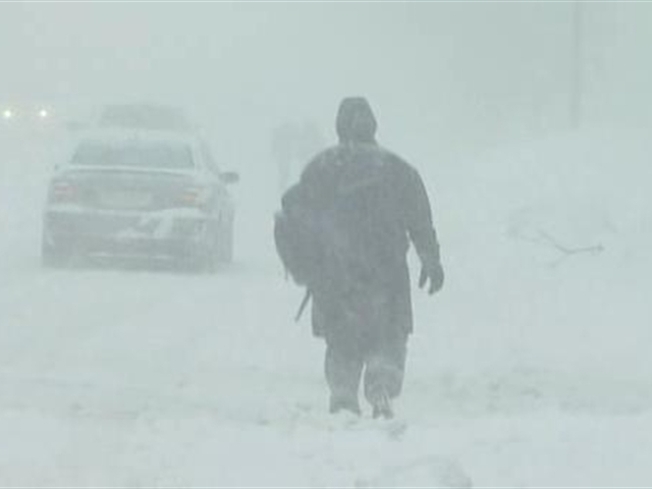 "The snow has just been relentless," said Washington Fire Chief Dennis L. Rubin, a D.C. native who said the back-to-back storms are like nothing he has ever experienced. "It doesn't seem like we're getting much of a break." The second winter blast of 2010 made road conditions frightening even for plow crews across Virginia. 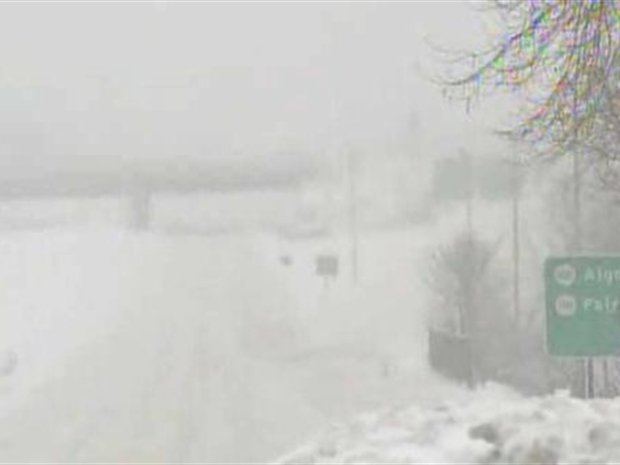 Authorities said the blowing snow is making it hard to get around. They said the long hours also are taking a toll on firefighters and emergency workers. D.C. police are using four-wheel drive vehicles, Humvees from the D.C. National Guard and other means to maneuver around the snow-covered city. At least 700 personnel showed up for work Wednesday, police spokesman Acting Lt. Nicholas Breul. But low visibility made it hard to get around. In Arlington, Va., streets that had been packed with people playing in the snow over the weekend were empty Wednesday. "I've seen enough," said Bill Daly, 57, as gusts of wind and snow lashed his face. "It's scary and beautiful at the same time. I wanted to shovel but thought if I had a heart attack it could be a while before anybody found me in this kind of weather." In northwest Washington, a Caribou Coffee was standing room only. Most people pecked away at laptop computers as snow fell steadily outside. "Can't get to the office but the work still needs to get done," said attorney Christopher Erckert. "I feel sorry for the city administrators who are trying to deal with all the practicalities of it." Many schools were closed again Wednesday, as was the federal government. Metro opened some above-ground stations Tuesday but only offered underground service Wednesday. There was no Metrobus or MetroAccess service. In response to this latest storm, Virginia Gov. Bob McDonnell is keeping a state of emergency issued last week in effect. 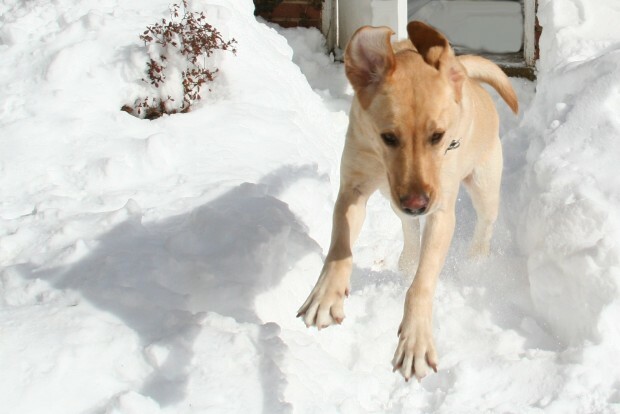 McDonnell declared the state of emergency ahead of the weekend storm. The declaration authorized state agencies to assist local governments in responding to the storm. Winds gusting to more than 50 mph and plunging temperatures created "extremely dangerous" conditions in the state, McDonnell said. The Virginia Department of Transportation directed most of its resources Wednesday to snowbound northern Virginia, where the storm threatened to dump 7 to 14 inches of snow in an area that has seen almost 3 feet of snow in some locations. Emergency officials said during a teleconference in Richmond that 20 buildings had fallen under the weight of snow. From 8 a.m. until 3:30 p.m. Wednesday, state police across Virginia responded to 2,154 calls for service. That number includes 805 traffic crashes and 769 disabled vehicles. McDonnell urged residents to stay inside. periods of time," he said. troopers, additional plowing equipment and additional guardsmen," McDonnell said. 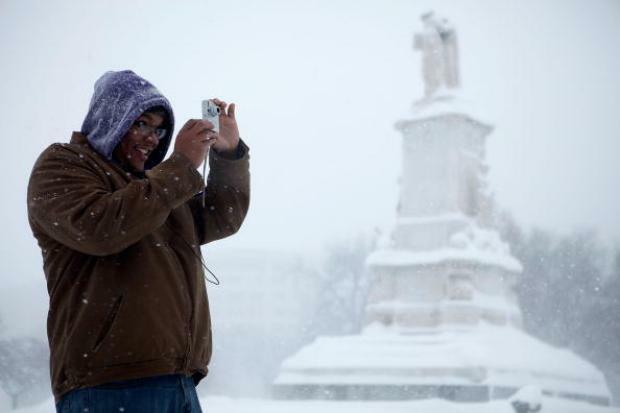 D.C.'s snow emergency took effect at 4 p.m. Tuesday. Drivers should remove cars from snow emergency routes or face fines of $250 and additional fees for towing and impoundment. Parking is banned on snow emergency routes to allow for curb-to-curb plowing and salting. If you can't find parking, the District recommended the DC USA rental center at 14th Street and Park Road in Northwest. After opening Tuesday, D.C. government was closed Wednesday except for emergency and essential personnel. "Our intent is to get as many businesses back up and running by tomorrow and Friday," D.C. Mayor Adrian Fenty said. "We'll spend the rest of the weekend picking up the rest of the loose ends. We've got a long weekend, so I'm sure the city will be up on all cylinders -- as much as humanly possible -- on Tuesday." Maryland Gov. Martin O'Malley said Tuesday the state is facing two big challenges: a dwindling supply of salt in some parts of the state and no room to put any more snow beside roads. The message being driven home to drivers: Stay home if you can. On Wednesday, O'Malley asked residents to refrain from asking for their streets to be plowed to the pavement, saying that simply won't be possible for many places in the next three days. The snow removal effort is focused on clearing main streets and emergency routes to keep response times down in case of emergency. Neil Pedersen, Maryland's State Highway Administrator, said dwindling salt supplies means the state wouldn't be able to use as much as during the weekend snow storm. He also said state officials will be quicker to shut down roadways if disabled vehicles or jackknifed trailers impede snow removal efforts. O'Malley warned that driving conditions will continue to be "very perilous" because of snow and high-gusting winds. O'Malley said that even after the snow stops falling on Wednesday, winds are expected to make things difficult for state residents. State offices will be closed Thursday because of the terrible conditions. O'Malley said winds will make it "very, very difficult for us to keep highways open," and road crews will be working through the night. In Prince George's County, rescue workers freed a woman who was trapped under an awning that collapsed under the weight of snow at about 5 p.m. at a home in Kittering. Officials said a resident, a woman in her 70s, was standing under the awning when it collapsed. She was trapped and her leg was broken. Firefighters and paramedics freed the woman, who was taken to a hospital. Rescue workers also freed a dog that became trapped when its kennel collapsed in Fort Washington. Sen. Barbara Mikulski offered some good news in the face of all this snow. Maryland has spent $70 million on snow removal and preparations this season, but it could get that money back now that Department of Homeland Security Secretary Janet Napolitano is classifying this storm and the weekend storm as one storm. FEMA's rule is no dough for snow below 28 inches, but combining the storms as one puts the accumulation total above that and frees up federal funds for local snow removal efforts. The storms were combined because this storm came before the region could recover from the weekend storm. D.C. and Virginia also will be able to apply for federal funding for cleanup. Virginia, which has drained its budgeted snowplowing funds, has applied for $50 million in federal emergency funds. D.C. congressional Delegate Eleanor Holmes Norton said she would ask the president to declare an emergency for the entire D.C. area, allowing jurisdictions to ask for federal funds. Airlines that shut down flights to Washington over the weekend warned that more would be canceled and that travelers who didn't depart by Tuesday night were likely out of luck. Airlines canceled flights for Wednesday. Airlines are urging travelers to call ahead or check their flight status online. Many airlines are offering refunds or more flexibility to rebook flights for another time. On Capitol Hill, the House called off all votes for the week because many members couldn't get back from their districts. A committee hearing on the Toyota gas pedal recall was postponed. The Senate was scheduled to hold two votes later Tuesday, as Senate Majority Leader Harry Reid tried to bring senators back to Washington to take up a jobs package. President Barack Obama held a bipartisan meeting with congressional leaders Tuesday and joked that it went so well that Reid and Republican Sen. Mitch McConnell of Kentucky had gone out to play in the snow. "In fact, I understand that McConnell and Reid are out doing snow angels on the South Lawn together," Obama joked as he made an unannounced stop in the White House briefing room. Residents worried they might be stuck at home hit grocery stores to stock up. A Safeway grocery store in the Dupont Circle area of Washington had milk and some bread Tuesday, but many other items were picked over from the last storm. There was no shredded cheese, and people who wanted Diet Coke or Brussels sprouts were out of luck. David Fiore, 49, a federal employee off for the second day, left with two bags of groceries. He had gone to four stores looking for milk the night before, but they were either out of it or too crowded. By Tuesday morning, Safeway had restocked, so he left with a gallon of milk, more than he usually buys. "It's that sort of hoarding instinct," he said. The storm brought out the best in some: In Alexandria, Va., when word got out that a family living at the bottom of a hill on an unplowed street needed to get their teenage daughter whose cancer is in remission out to an important doctor's appointment, neighbors quickly converged. The entire street was shoveled before many neighbors even had shoveled their own driveways. Up the street, children tired of playing outside in the snow created craft items and had an impromptu sale to benefit victims of the earthquake in Haiti.